1784  Earliest known date of existence when George Salmon obtained a warrant for 640 acres that had been part of a Cherokee settlement (1, p. 8). Salmon was an important surveyor as he worked on the division of the Cherokee land and established the border between North Carolina and South Carolina in the Upstate area. He would later be elected to serve in the South Carolina House of Representative (1, p. 3). 1836  Over the previous years, Salmon had been slowly selling of his land holdings. In this year, he sold the house and remaining 1,826 acres of the plantation at auction to pay-off a judgement (1, p. 8). Ezekial Salmon, George's son, was able to purchase the plantation at the auction (1, p. 8). 1839  Ezekial sold the plantation, which at that time consisted of 1,000 acres, to Colonel Robert Cox (1, p. 8). 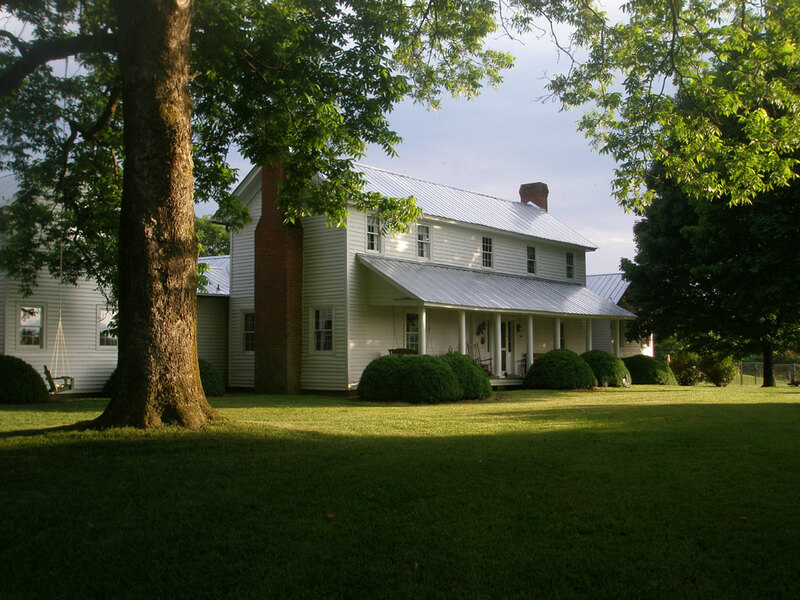 1930s  It is believed the plantation remained in Cox family until this time (1, p. 10). 1950  C. Douglas Wilson purchased the plantation (1, p. 10).
?  Mr. and Mrs. John N. Walker became owners (1, p. 10). George Salmon died in 1838 and is buried on the property (1, p. 8). Original log house built in 1784 by George Salmon. He later enlarged the loft area to create second story. Later, two additions were added to transform the house into a plantation, plain style house. In 1984, the house was move approximately 100 feet and pivoted 90 degrees. At this time, the house was enlarged once again and refurbished (1, p. 2). A 19th century smokehouse still remains on the property (1, p. 7). Learn more about historic Greenville County, including the lovely city of Greenville SC. We have helpful guides to Greenville SC history and Greenville SC libraries and museums – plus Greenville SC restaurants, Greenville SC hotels, and Greenville SC real estate.